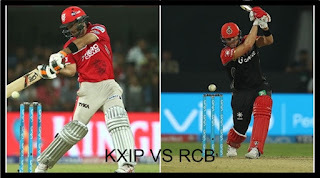 Royal Challengers Bangalore will face against Kings XI Punjab at there home Indore in today's match with confidence, because of 15 run trilling win over the Delhi Daredevils on Saturday night while depending a low score. However, even as they keep their fingers crossed on the much anticipated return of their big guns captain Virat Kohli And AB de Villiars. Even as they hope for this 'sleeping giant' to wake up and blow all the bowlers away. RCB would no doubt be buoyed with the way they successfully defended 157 run at Chinnswamy Stadium in their last match. With that win Bangalore side are now up against Kings XI Punjab. Kings XI Punjab also have confidence after beating Rising Pune Supergiat at their last game by Six wickets. RCB have reason to party very shortly. 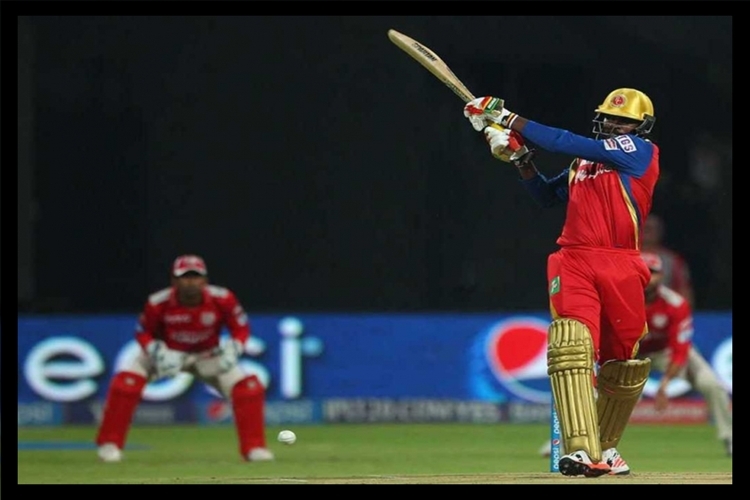 As they take on Kings XI Punjab on Monday night , all eyes would to be on a certain gentleman Chris Gayle. He slammed 9,975 runs from 288 T-20 games. The 'SIXER MASTER' is needed just 25 runs to becoming the first batsman in world cricket history to cross 10,000 runs in the shortest form of cricket. The Big Man has score only 32 and 6 in two games, but would love to gallop past the 10,000 mark with a typical scoring inning. Condition would be much cooler on Monday. A flat track is expected to be offered with a tinge of grass. A run -fest is e expected. King XI Punjab are expected to play an unchanged squad, with possibly Swapnil Singh making way for Gurkeerat Singh. Darren Sammy hasn't joined the team as yet. Royal Challengers: Chris Gayle, Shane Watson, Mandeep Singh, Kedar Jadhav, Stuart Binny, Vishnu Vinod, Pawan Negi, S Arvind, Tymal Mills, Yuzavendra Chahal, Billy Stanlake.